The hard drive scene isn’t one that gets much attention, but Samsung manages to make headlines again and again with its ridiculous drives. Don’t get me wrong, the PM1643 is a towering achievement that should put competitors on the edge. As it should, because its the largest SSD storage available at a 2.5-inch form factor. Where most people nowadays don’t even have a tenth of that space on their laptops, it seems like a push to expect this popping up in any consumer electronics soon. These sort of cutting-edge components take a lot of time to make their way down to normal people. That’s why Samsung claims the PM1643 is meant for the ‘Next-Generation Enterprise Systems’. This isn’t the first time Samsung has held this title. Even before the PM1643, its been in the drive storage game for a while now. Its been steadily making ground-breaking drives ever since it entered the industry. In fact, Samsung is amongst the top producers of both internal and external hard drives. Its seagate drives are hard to beat in terms of price to performance ratios. If you feel like 30 terabytes is overkill for you, don’t worry. Samsung plans to expand its lineup later in the year, with smaller variants, to fit all your needs. The lowest one is 800GB, which is more than sufficient for the average ultrabook. That being said, don’t expect to see these drives around anytime soon. Samsung isn’t letting any details about the prices slip but rest assured that it’s not something the average consumer will be able to purchase. The only impact this has on the average consumer is that other drives will have their prices driven down. This model hosts a lot of firsts for Samsung technically speaking. You can find the full technical breakdown over at Samsung’s newsroom. Though solid state drives have been around for a while now, it’s still uncommon to see a computer rely solely on SSD storage. 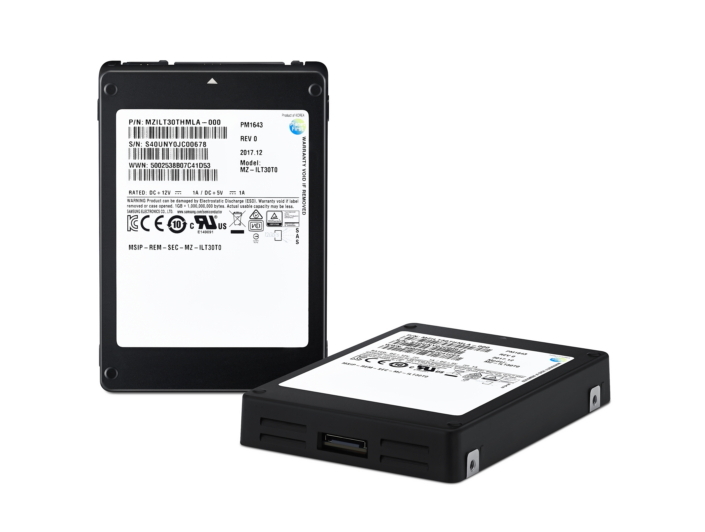 Hybrid storage solutions are more commonplace nowadays, using SSD storage for the OS to boot faster is a technique that’s quite popular.